AlgoDynamix, the pioneering risk analytics company focused on financially disruptive events, was named the winner of Dassault Systèmes 3D FinTech Challenge beating off competition from Athena Portfolio Solutions, CheckRecipient, Passfort, Percentile and Quarule. The technology underpinning AlgoDynamix features deep data algorithms which detect anomalies in the financial markets and anticipate price movements hours (or days) in advance of the event. Unlike competitive solutions, their real time analysis does not rely on historical data or previous disruptive events. A panel of judges and an audience of venture capitalists, private equity firms, industry experts and senior executives within the financial services community came to the decision to name AlgoDynamix the winner following a seven-week program of mentoring from industry executives and domain experts. Algodynamix will now receive additional mentoring and networking opportunities from Dassault Systèmes’ global financial services ecosystem to further accelerate its development. 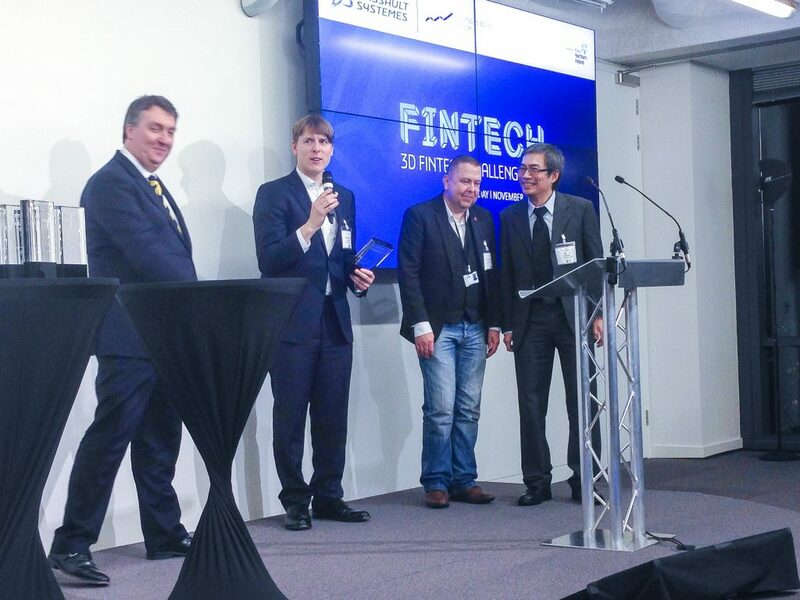 “The 3D FinTech Challenge provided the focus, mentoring and introductions to accelerate a greater commercial deployment. Dassault Systèmes, Deutsche Börse, our mentor and domain experts, helped hone and reinforce the strength of our solutions to overcome the hurdles associated with regulatory compliance and systemic and non-systemic risk,” said Doctor Jeremy Sosabowski, CEO and Co-Founder, Algodynamix. Hack / Make the Bank: The Results!